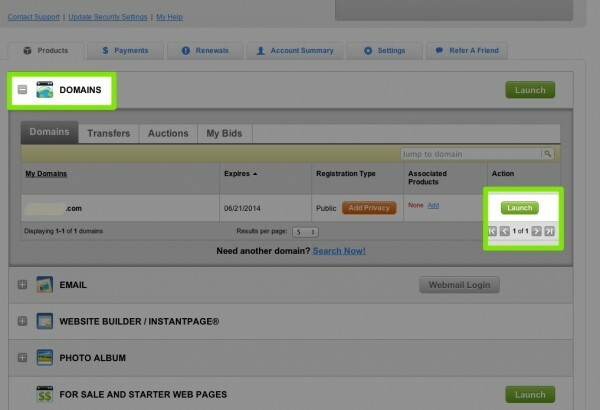 2.Â On the My Account page you will see a list of your domains. Click “+ Domains” to expand the Domains section. 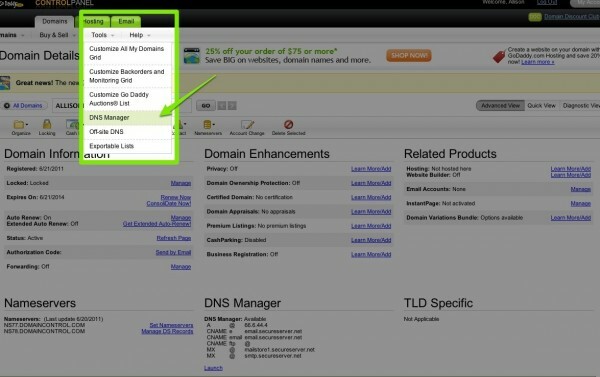 4.Â From the Tools menu, select DNS Manager. 5. 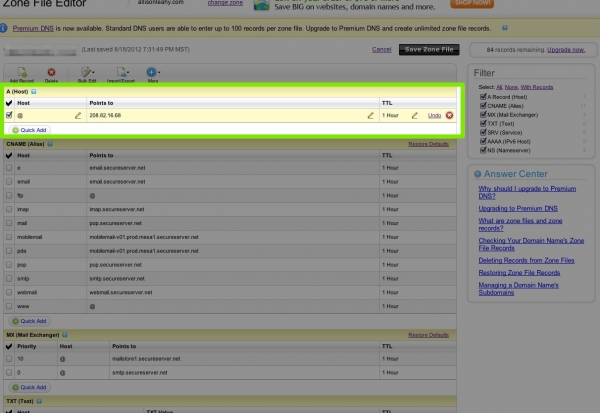 Once you are in the DNS Zone File Editor section, locateÂ theÂ A (host)Â section to modify the “@” entry. Hover over theÂ Points toÂ field and click when the pencil icon appears. Enter Ning’sÂ IP address: 208.82.16.68. 7. Click the “Save Zone File” button up at the top of the page, click “OK“Â and you’re done! Well…almost. Please Note: Your changes may take up to 48 hours to appear. 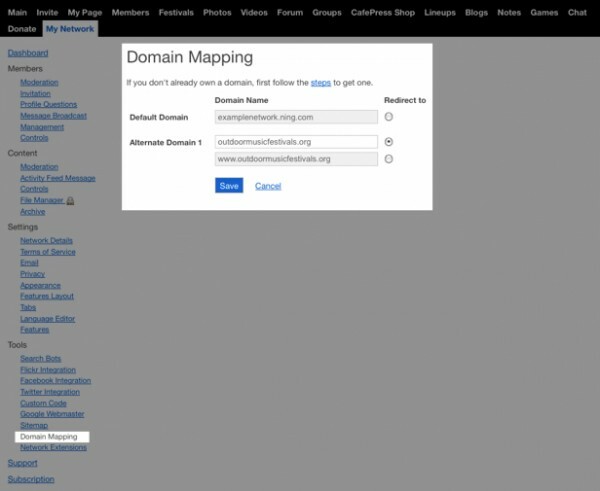 If you’re still unable to access your Ning Network through your domain mapped URL, check out ourÂ Troubleshoot Domain Mapping IssuesÂ guide.